Set against the backdrop of the first democratic elections and the Truth and Reconciliation Commission in South Africa, Zulu Love Letter is a story of two mothers in search of their daughters. Thandeka Khumalo, a journalist, is challenged with mending her estranged relationship with her thirteen-year-old daughter, Simangaliso, who grew up with her grandparents because of Thandeka’s career and political commitments. Tormented by a sense of guilt and grief that refuses to wane, Thandeka battles to adjust to the changes around her. Her melancholy soul is compelled to confront her experiences of detention and torture when ghosts from her past reappear. Me’Tau, the mother of Dineo, a young activist, whose assassination Thandeka witnessed and reported, wants Thandeka to help in finding Dineo’s body so that she can be given a fitting burial. For mourning to end and for healing to take place, the demons that haunt the present must be recognised and exorcised. Marking the ebb-and-flow of the adults’ attempts to deal with the unfinished business of apartheid, is the ‘Love Letter’ that Simangaliso is weaving as a gift to her mother. A colourful tapestry of beads, trinkets and buttons, the ‘Love Letter’ encapsulates the power of the arts in fostering memory, healing and love. Zulu Love Letter has won ten prestigious international awards. Zulu Love Letter is an extraordinary film for a number of reasons. It creates a local narrative with national resonances; centralises women and their experiences; engages an African aesthetics rooted in an African spirituality while sustaining an identifiable contemporary look and feel…. It strives to express truth and reveals the impossibility of ever fully-knowing it. Yet there have been terrible abuses towards humanity exacted under apartheid that the film is in a position to visualise on behalf of those who survive them. Zulu Love Letter has bravely created a new cinematic space for representing historical truths. Jacqueline Maingard, University of Bristol, UK. Shot over 7 years, this is an unforgettable story of one family, stretching back two decades. 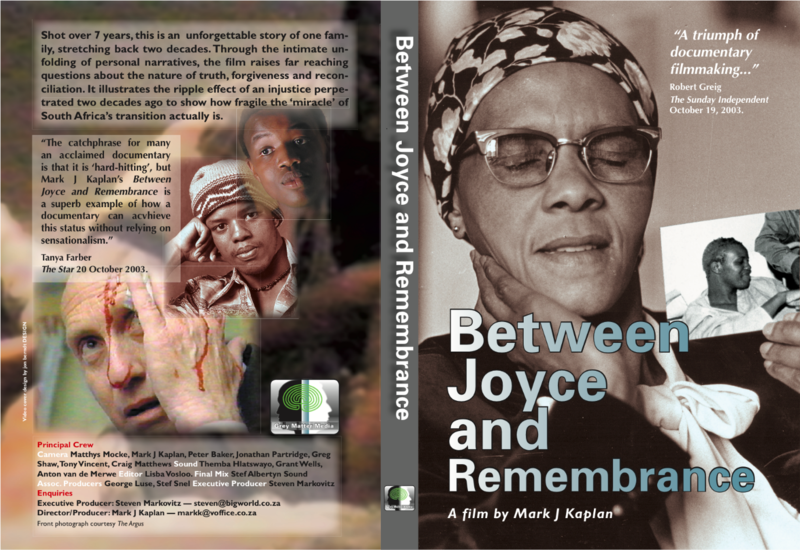 Through the intimate unfolding of personal narratives, the film raises far reaching questions about the nature of truth, forgiveness and reconciliation. 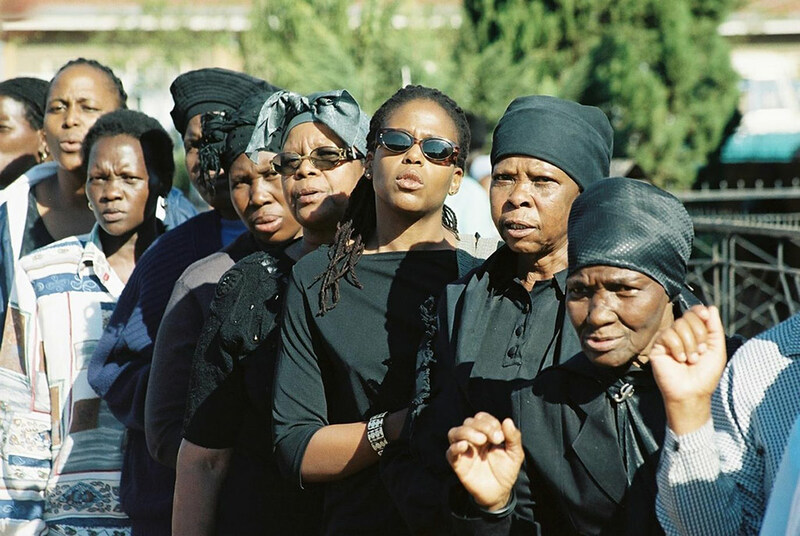 It illustrates the ripple effect of an injustice perpetrated two decades ago to show how fragile the ‘miracle’ of South Africa’s transition actually is. “A triumph of documentary filmmaking …” Robert Greig, The Sunday Independent. BIO: Director, Mark J Kaplan is one of South Africa’s foremost documentary filmmakers whose films have been widely used in countries transitioning from violence to democracy such as Northern Ireland, Colombia, Palestine and former Yugoslavia. He was held in solitary confinement and deported from Apartheid South Africa. His films have focused on social and political issues, human rights, intergenerational trauma and historical memory. He has won several international awards including an Emmy (The Lion’s Trail). Armagh Stories: Voices from the Gaol is a documentary film edited from walk-and-talk interviews conducted inside Armagh Gaol in 2006 as part of the Prisons Memory Archive. 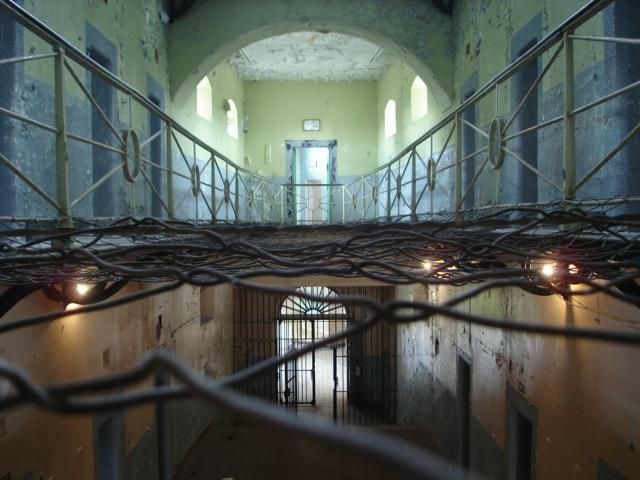 Armagh Gaol served as Northern Ireland’s only female prison during the Troubles until its closure in 1986. At the height of the conflict, the number of female political prisoners grew from 2 in 1971 to more than 100 between 1972 and 1976. Due to the growing prison population during the Troubles, Armagh also housed male remand and sentenced prisoners. The film uses protocols of co-ownership, inclusivity and life-story telling to address a conflicted past in a contested present. In the film, prison staff, prisoners, chaplains, doctors, solicitors and teachers tell us of their experiences, mostly for the first time, back in the Victorian site. While the film offers validation of each story and participant, at the same time it also challenges our assumptions about the past and the roles of those who experienced it. BIO: Cahal McLaughlin is the Chair of Film Studies at Queens University Belfast. His research focuses on collaborative storytelling as a method of addressing the legacy of violent societies. He is also Director of the Prisons Memory Archive (www.prisonsmemoryarchive.com); his films include It Stays With You: Use of Force by UN Peacekeepers in Haiti (2018), Armagh Stories: Voices from the Gaol (2015) on the female prison during the conflict in and about Northern Ireland, and We Never Give Up II (2012) on reparations after apartheid in South Africa . He is author of Recording Memories from Political Conflict: a filmmaker’s journey (Intellect 2010) and is on the Editorial Board of the Journal of Media Practice. Uitgesmyt is a 26-minute documentary produced and directed by Dr Siona O’Connell that looks at apartheid-era forced removals in Elandskloof near Citrusdal in the Western Cape, which was also the first successful land restitution claim instituted in post-apartheid South Africa. The film considers the cycles of poverty and the failures and challenges of land restitution especially with regard to rural communities. BIO: Siona O’Connell (PhD) is a NEH Professor of the Humanities in Africana and Latin American Studies, Art and Art History and Film and Media Studies at Colgate University as well as an African Studies scholar at the University of Pretoria. She has curated numerous exhibitions and directed and produced 7 films that considers ways of life after racial oppression in South Africa. Her work pivots on ideas of place, belonging and freedom.